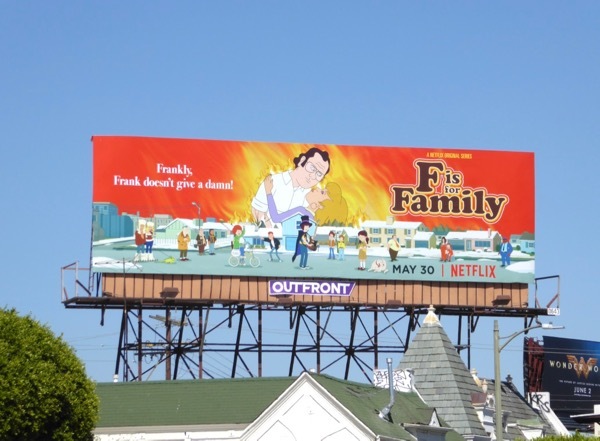 Netflix animated comedy F is for Family is back for a second season of parodying 70s American culture with this fun Gone with the Wind spoof billboard. 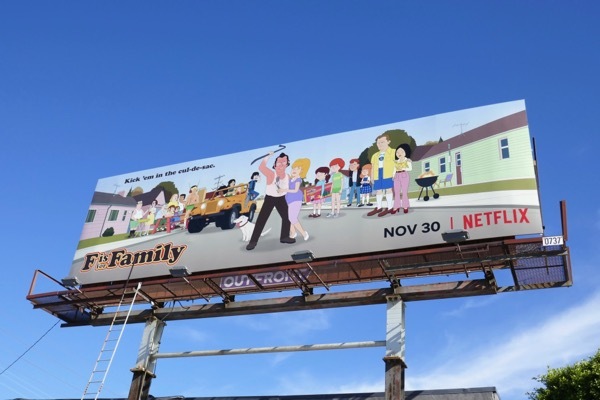 In the series loosely based on comedian Bill Burr's own childhood, he voices short-tempered, Korean War veteran and disillusioned family man 'Frank Murphy' who lives a suburban life in Pennsylvania with his wife (Laura Dern) and their three kids. 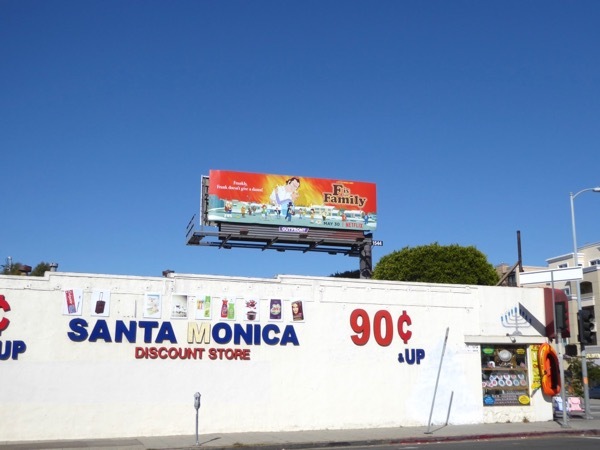 These colourful sophomore season billboards were spotted above Pico Boulevard on May 19, 2017, and in multiple locations along West L.A.'s Santa Monica Boulevard the next day. Have you binge-watched the new episodes yet? 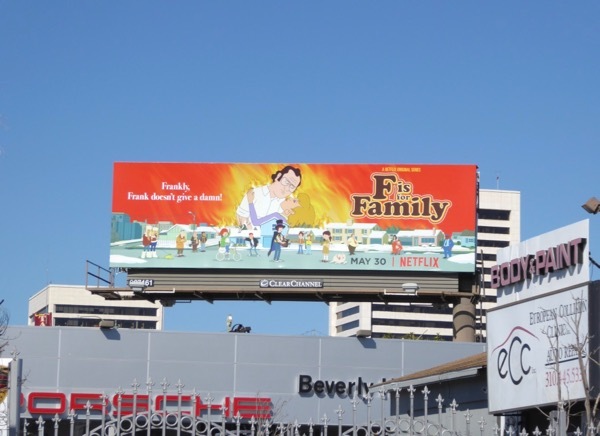 Will there be a third season? 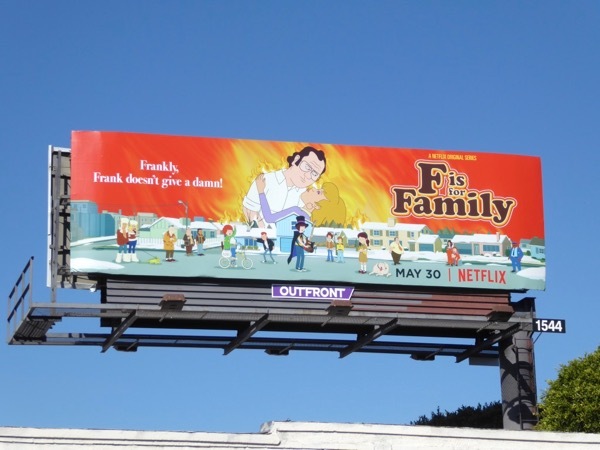 'Frankly, Frank doesn't give a damn!' 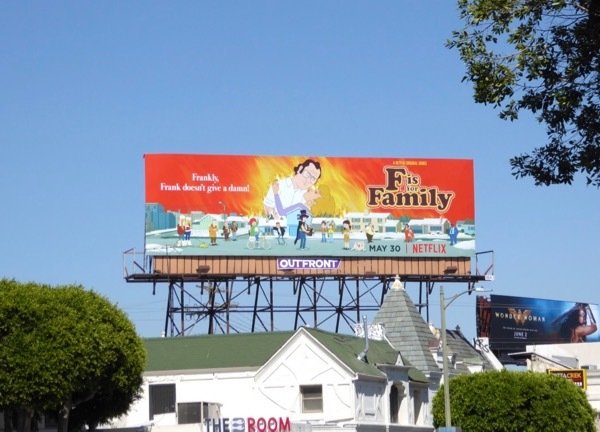 but Daily Billboard thinks fans of the show do. 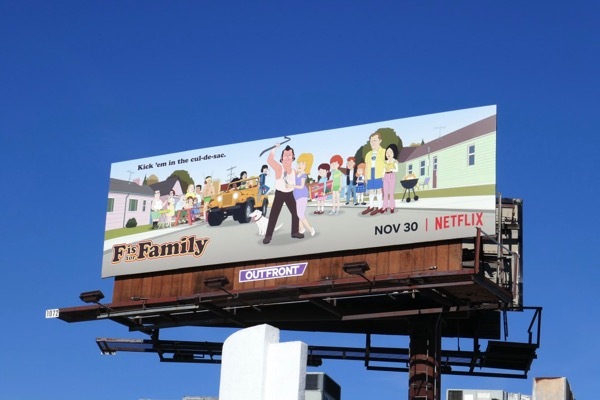 UPDATED: Here's also the third season billboard for F is for Family spotted high over Sunset Boulevard at La Brea Avenue on November 23, 2018. 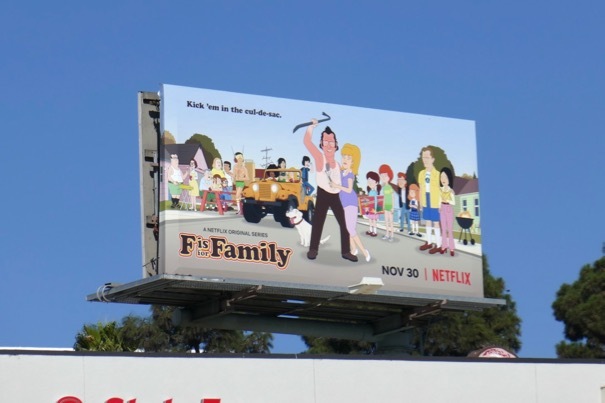 Plus here are two other larger examples of the 'Kick 'em in the cul-de-sac' billboards spied along Westwood Boulevard and Pico Boulevard on November 26, 2018.